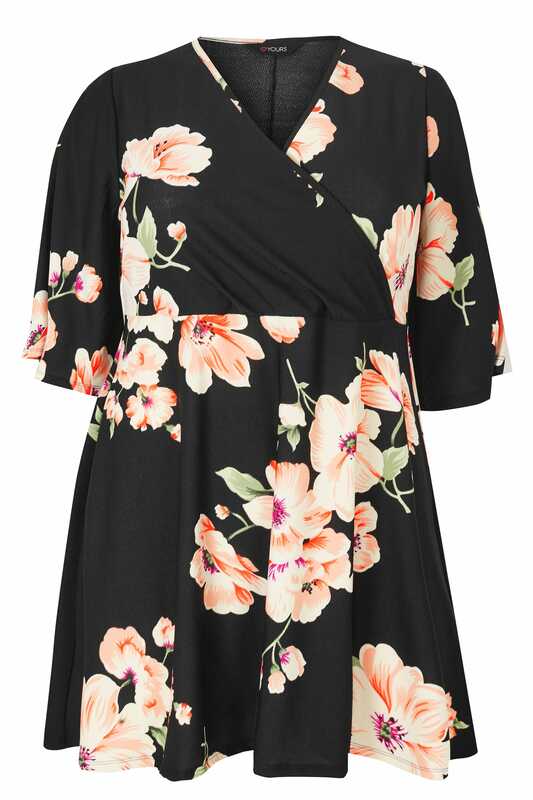 Front length from (approx): 87.5cm/34"
Freshen up with this chic floral wrap blouse. 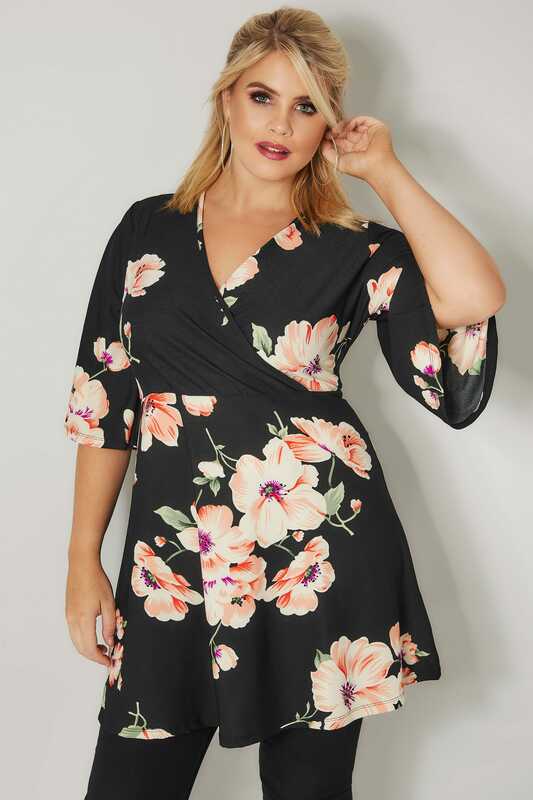 Made from a comfortable stretch fabric, it features 3/4 length kimono sleeves and a feminine v-neckline. Ideal for creating an elegant evening look, try matching with black bottoms and a pair of heeled sandals. 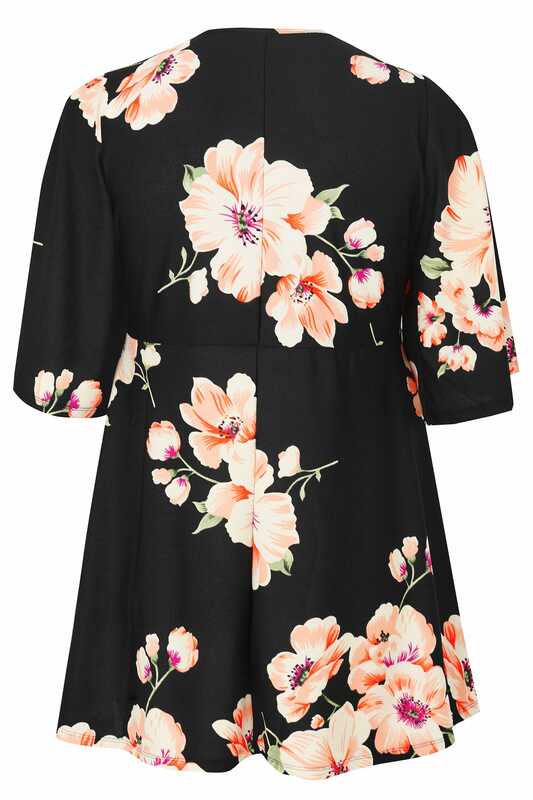 Flattering in a longline length, we love the timeless floral print.